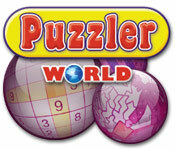 Puzzler World is rated 3.5 out of 5 by 25. Rated 5 out of 5 by mrm2006 from Crosswords, Hangman, Sudoku and much more! If you are looking for a game that has all your favorite puzzles in one place - you found it in this game. Graphics: Wow! First, you get to draw your profile picture, or name, as you choose. It is not easy - lol. Then, you can choose to create your own handwritten alphabet or numbers and symbols by writing a specific number, symbol or letter 5 times - this is impossible. As far as graphics in the game - amazing. Bright, colorful, cartoony and fun. The graphics are a huge part of feeling good while playing this game. Sound: Sorry - don't know. I have a now 8-week old puppy who i rescued at 6 weeks old and she's sleeping against my back - lol - so I had to turn the volume off. Of course, now my back hurts! Game Play: Fun, Fun and more Fun. All my favorite puzzles in one place. Crosswords, Fill-it-ins, Hangman, Link-a-Pix (couldn't figure that one out) and more. Choose a level (there are 560 - no kidding!). Click on it and the games begin. After you play 3 games (of the computer's choice), and win, you get to pick a "present" that awards you with hint coins (very handy), a puzzler letter (collect 7 for a special prize) and I can't remember the 3rd - sorry. When you are finished that level, it will blink, to move on to the next level, choose the one past the blinking number. I found this game to be thought-provoking, fun and yes, even relaxing. Definitely addictive. I know I said this a hundred times - but ALL your favorite games are now in one place! And there are 560 levels! I checked. This Glam-ma is on the fence about purchasing this game ONLY because there are several others in my top 5 and money only goes so far. Perhaps on my wish list. I do, however, encourage everyone to try this game. The demo is free and it's only an hour of your time. If you like puzzles, you will love this game. 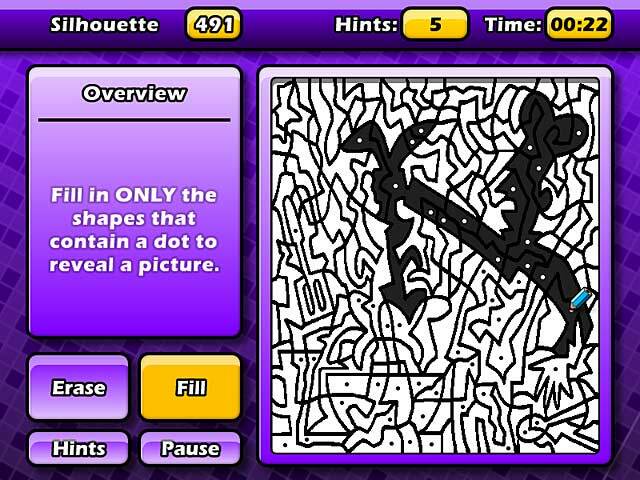 This might be a trifle hard for beginners or those who don't play puzzles but try it anyway. Happy Gaming to All! Rated 5 out of 5 by twytyz from Love it I finish most games within a couple of hours. This took much longer so i feel like I got more for my money. Gave a variety of games that challenged me, yet had ways for me to get help if I really needed (hint points). Rated 5 out of 5 by vicki2012 from Puzzler World Thought this was pretty good actually. Keeps you entertained and is moreish. Only one I don't like so far is Link a pix. Other than that, I could play it all day. Rated 5 out of 5 by pyxis1 from Great puzzle game While the graphics and sound effects would appeal more to children, the game is fun, with various levels of difficulty available. The interface is intuitive and easy to use; can point & click or use the keyboard. 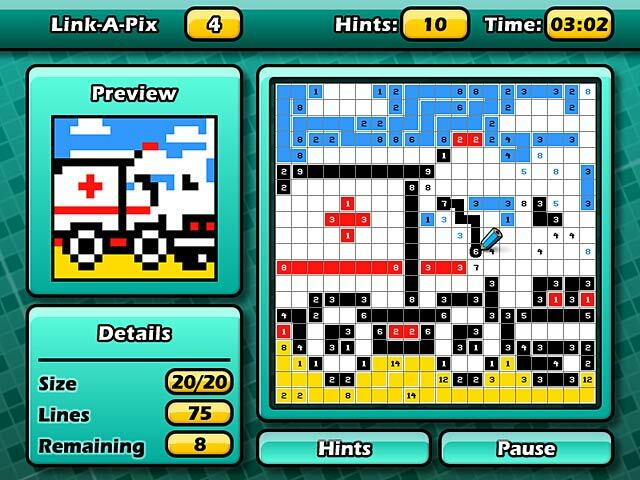 I am also very happy with the variety of puzzles offered (I particularly like Link-a-Pix, which I had never seen before). Rated 5 out of 5 by 4mybirds4 from Nice Variety of Puzzles I am enjoying this game so much. Great variety of puzzles, even if there may be a few I don't like as much as the others, they don't take long to complete, and you know your fav's are coming up soon. If you have a few minutes to spare or a few hours, you can relax and enjoy the puzzles. Rated 5 out of 5 by lininindy from LOTS OF PUZZLES!!! Exactly what I have been searching for! A VARIETY. Rated 5 out of 5 by celtickid12 from This will help you spell and have fun.good old puzzler game. 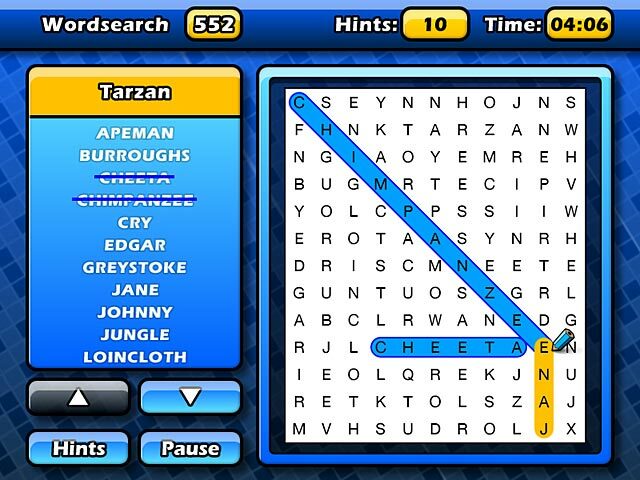 This was a good game as it says its all diffrent sorts of Puzzles i have been looking for this.ok theres no storie to it but if you like wordsearch and other games of that nature then get this i did.the best think i like about it you can play in another country ie America Germany Italy you get the picture if you know the word in your country try and play it in another country.that way you learn to spell in 6 diffrent countrys if you go to one of them you will know how to talk to them in there country.i hope you understand what am trying to tell you.my spelling is rubbish thats way i bought it to try and help me.if you have children then it might help them as well. Rated 5 out of 5 by jules85 from Nice puzzle game lots of different puzzle. not to easy. without storyline(a point that I like). nice to play when you have a little pause. Rated 4 out of 5 by ninda2 from Fun game, not just for kids I have to agree with others, this isn't just a kids game, it has a variety of games, my least fav is the number connect game. I also play a lot of these games in book form from Pennypress and Dell. You have to play in the harder mode and even then it isn't to difficult, just a nice break from Adventure and HOG. Rated 4 out of 5 by KaraDane from Worth the Buy Entertaining puzzle game. A million varied puzzles, all under 5 minutes. Mixed with mini games, under 2 minutes. Strange graphics in between did not add anything to the game. Challenging enough to be entertaining but not frustrating. The key is to play in Challenge mode. Which is not really very challenging. Regular mode is too easy. Endless hours of easy going entertainment.